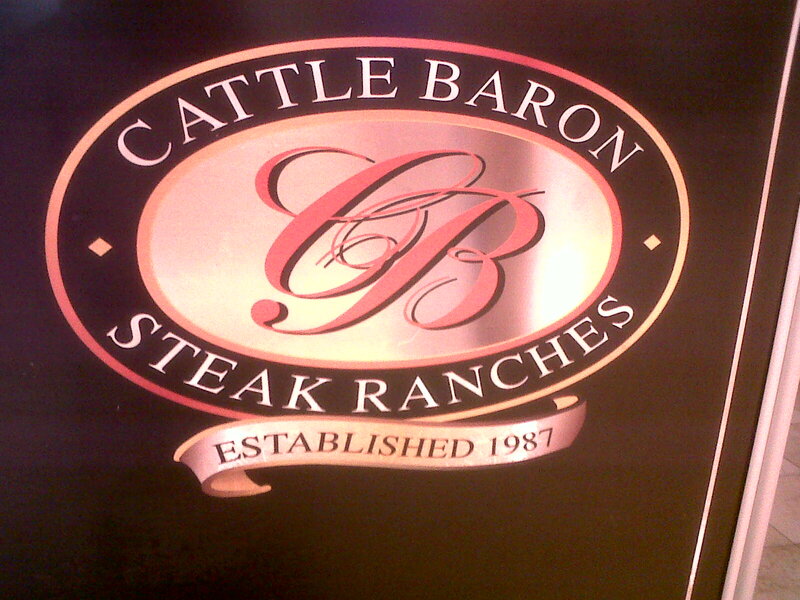 Cattle Baron is a true South African institution and does not fail to deliver on quality, quantity and affordability. 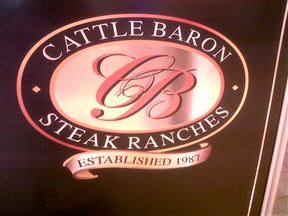 This steak ranch serves up traditional favourites with the emphasis on steak, steak and steak. 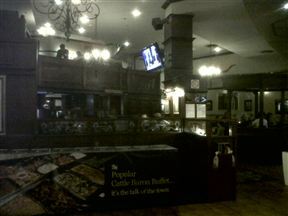 The menu offers a wide variety of meats, served with rice, baked potato or chips and the famous complimentary creamed spinach and sweet butternut. A must-try is the melt-in-your-mouth Chateaubriand - thinly sliced fillet flambed at your table served with sauce bèarnaise. For the really ravenous diner, there is the 600 g Fat Tuesday rump or sirloin and the famous Carpet Bag filled with hickory smoked mussels and cheese. Vegetarian pastas and a vegetarian platter are also available to non meat eating guests, and on top of this, Cattle Baron offers a really cool kids menu filled with great dishes and awesome dessert options. This restaurant will stay a family favourite for a long time to come. •	After 400 m, turn right and follow the road towards Canal Walk Shopping Centre. Cattle Baron is 0.8km from the centre of Century City , the nearest airport 12.6km (Cape Town International Airport).